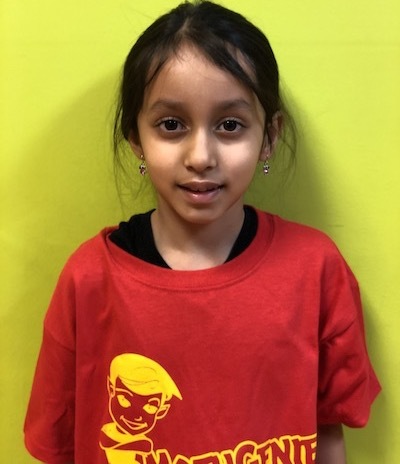 Zunaira, a 3rd Grade Math Genie Student, was tested with having 6th Grade math skills. Mom says she learned it all from Math Genie "6th Grade level math question at 3rd Grade level when I didn't do anything except bring her here and so obviously she's getting it from here." " My husband and I, we both think it was a great investment. So far, it really showing in her schoolwork and in her, the standardized test was definitely a good eye opener for that"
Mia and her sister Ilana from Monmouth Junction, NJ, have been in remedial math for years. Their scores were low 50s and 60s. Now, just a few months at Math Genie, both girls are scoring in the high 80s and 90s. 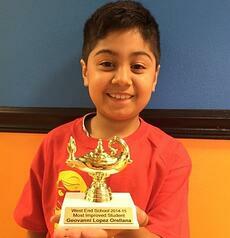 MathGenie student gets selected for accelerated math program at 3rd grade. Even though she will be doing advanced material she needs to make sure she doesn't fall behind in her regular classwork. Yet, thanks to MathGenie, her parents and teachers believe she will do spectacular! 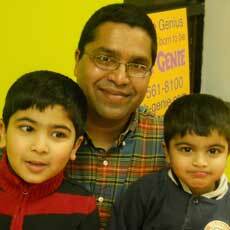 "Aashi got accepted to the program because of MathGenie. She is very confident in math because now she knows that she is ahead of everybody in the class.” says Vaishali, Aashi's mom. Most parents think that the abacus is only good for young students and that their child wont use it in school. Well Somer from Franklin Park can tell you how wrong that is. She is crushing her high school precalculus course and she says it's all thanks to the abacus! 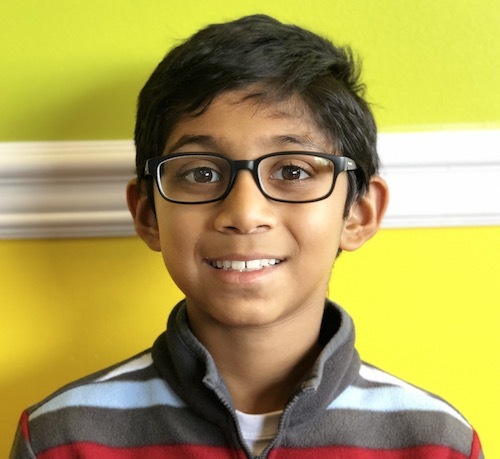 "In class I'm able to solve problems much faster and I'm able to use the calculator a lot less...so it's easier to solve problems for classwork, for homework and for tests." MathGenie's mental math program helped Arnav from Piscataway build his problem solving and pattern recognition skills. 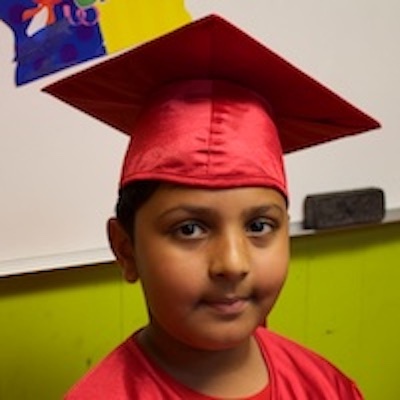 With these skills Arnav was able to get into Bridgewater's Academically Independent (AI) enrichment program. Reading Genie students from Marlboro Township give a speech in front of 500 people at a wedding. 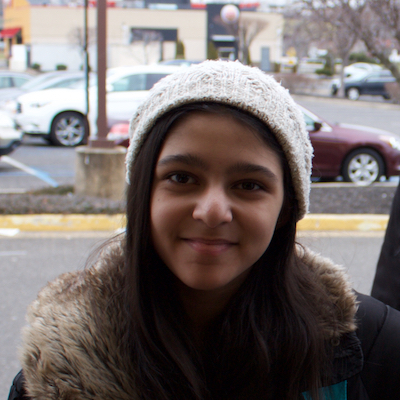 "‘Math Genie really helped me put my thoughts together.'" 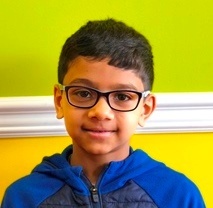 Piscataway student, Sohum scored in the top 1% of New Jersey students for his grade in the Math Kangaroo exam. Sohum had already been accepted into the Johns Hopkins Center for Talented Youth. His parents thank MathGenie for his success. This visualization helps her deepen her understanding of Math. 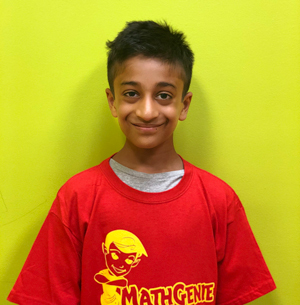 This Math Genie student from Piscataway recently earned a spot in Johns Hopkins University's Center for Talented Youth (CTY). 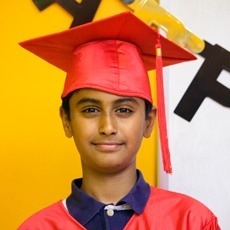 "Math Genie has made a significant impact on Sohum's academics and without this he could not have done this. " 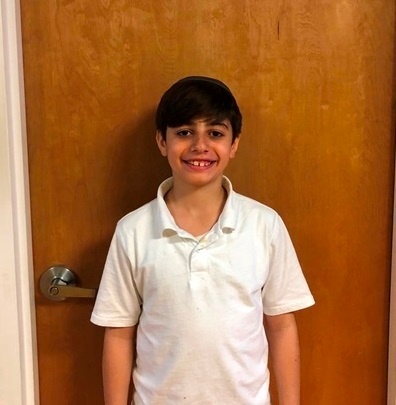 Justin from South Amboy, New Jersey scored got in the 99 percentile in the National Terra Nova exam. Watch his Mental Math skills at the age of 6! "I can attest to the fact that Math Genie really does work wonders, and I am ecstatic that I discovered the program!" 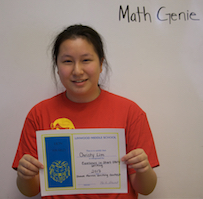 Fifth Grade Math Genie graduate in South Brunswick is learning Advanced Seventh Grade Math in School. "He is in the Advanced Math class in his school and I'm sure Math Genie helped him achieve that"
Adarsh scored high on the Cognitive Assessment test and gets into the Gifted and Talented (GNT) program at Johns Hopkins University. “It’s [Math Genie] really helped him in his core fundamentals, especially with memory and being able to elevate his intellectual capacity." Failing Student was Going to Be Held Back. Thanks to Math Genie She is Ahead of Her Class. 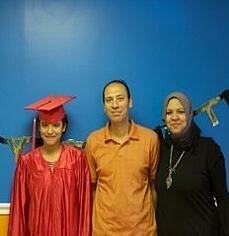 Shreya's parents and teachers are amazed at her progress. Mom and Dad both say if it was not for Math Genie, she would not be where she is now! "When my neighbors ask is Math Genie working for us the answer is yes - definitely yes!" 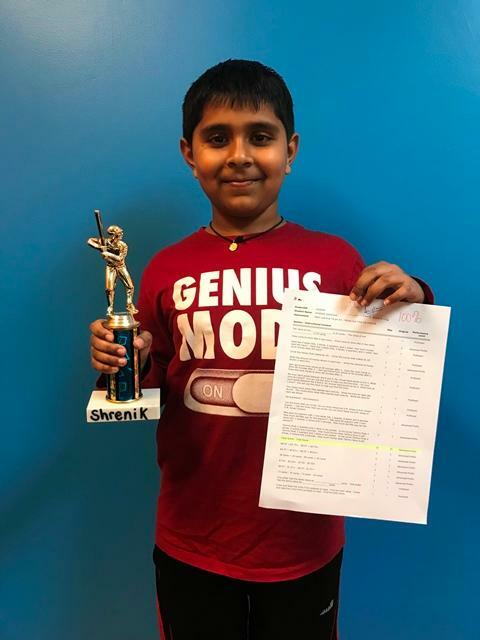 Shrenik scores 100% on NJ Math Target Assessment in Piscataway. His dad gave a big thank you to Math Genie! 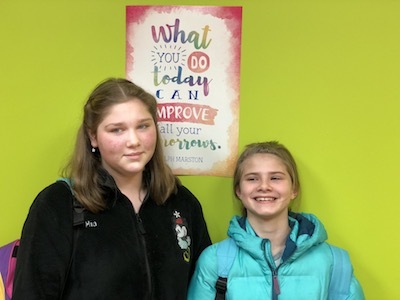 "This is a place that shows Math becomes FUN"
Esther from Plainfield, had Terra Nova scores jump from 39 to 99 percentile nationally after joining Math Genie. "She has made us so proud. Thank you Math Genie!" 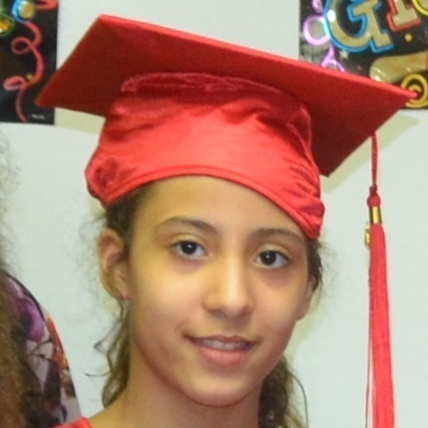 Math Genie graduate, Somer, from Franklin Park, recently earned a perfect score (100%) on the the Preliminary SAT (PSAT) & SAT Math non calculator section. "I use the abacus everyday in High School." 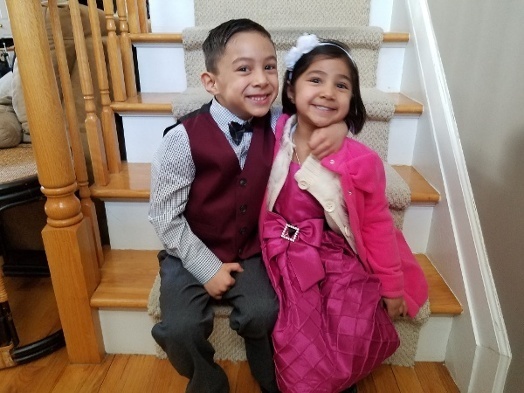 Charlie and Angela from Staten Island secured a spot in the NYC’s gifted and talented program; a program so selective that it only has a 6% percent acceptance rate. Their secret? Five minutes of mental math everyday! "Practice, apply, praise, and make it a routine." 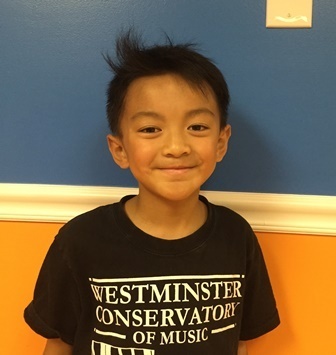 Jaisen went from not being able speak to speaking in complete sentences, remembering and focusing better, and became exceptionaly better at mental math. 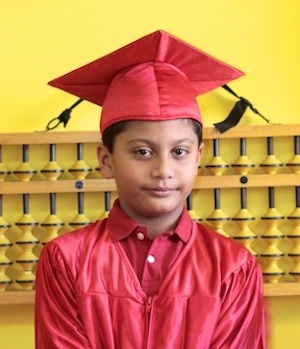 He got an admission to North Star, Newark’s top charter school. Where he also skipped Kindergarten and went straight to First Grade. “He’s definitely a stronger math student. He has more confidence. At Math Genie, he thinks he can do anything." 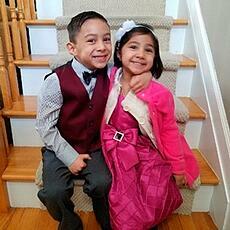 ​In first grade, Geovanni from North Plainfield, was having a hard time with math and reading. 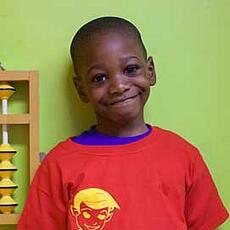 His parents received a letter from the school informing them that he was 6 or 7 levels below other kids in his class. 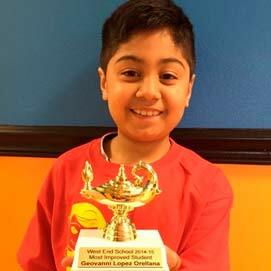 After enrolling in Math Genie, Geovanni was awarded the “Most Improved Student” from his school. "His focus has improved a lot. We can see that he can read books without stopping in the middle. 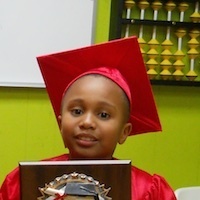 We are very proud to see him succeed in school." 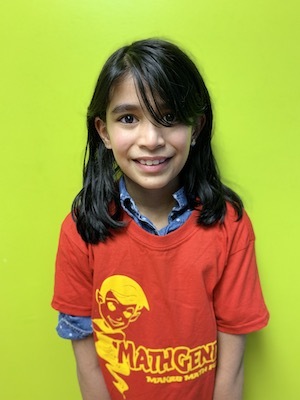 Ghazal’s parents Puneet & Parul were skeptical when they first walked into Math Genie. 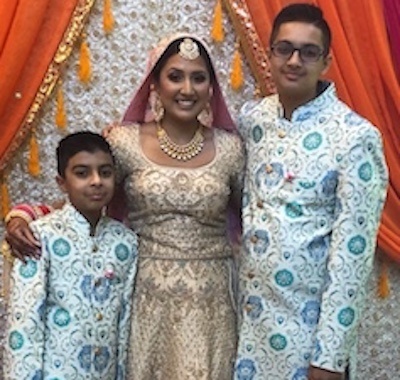 After seeing disappointing results at many other programs such as Kumon and Eye Level, they weren’t sure if Math Genie would be the best match for their daughter. However, after two and a half years, their skepticism was replaced by joy as they watched Ghazal blossom as a brilliant student. "We are so proud to be able to say that she’s doing significantly better than she was before we took her to Math Genie." 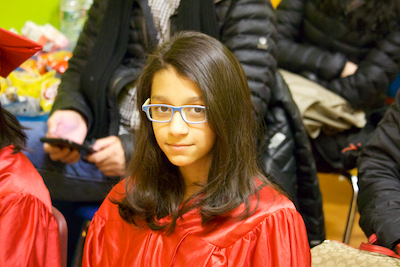 Caroline from Old Bridge achieved academic excellence in her school. 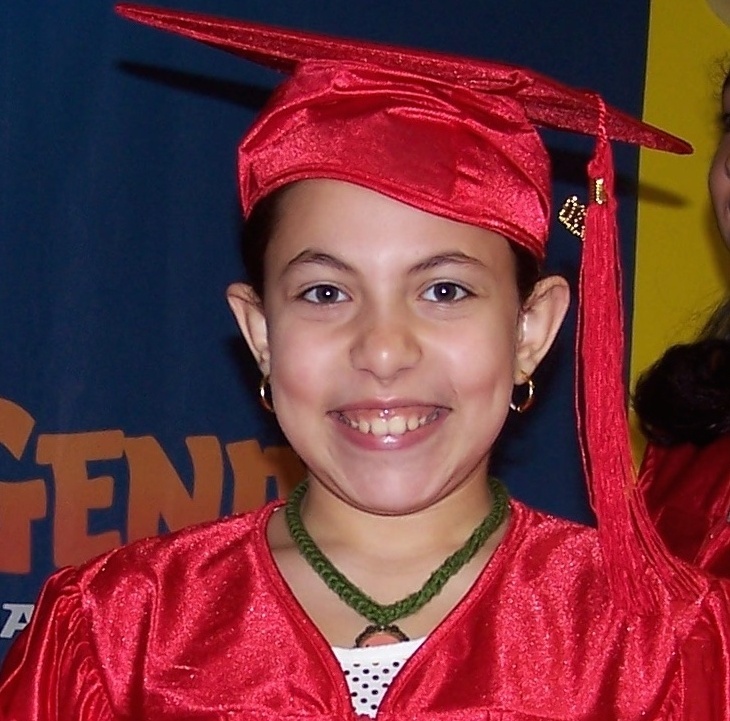 She has been attending Math Genie's Reading, Writing and Math program for years and is now at the top of her class. Math Genie teaching method takes advantage of how a child’s brain thinks, where as Kumon seemed as if it were very repetitive and memorization-based. 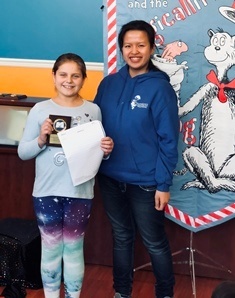 Christy from North Brunswick was able to build her writing skills to an amazing level thanks to her incredible work in her Reading Genie classes. 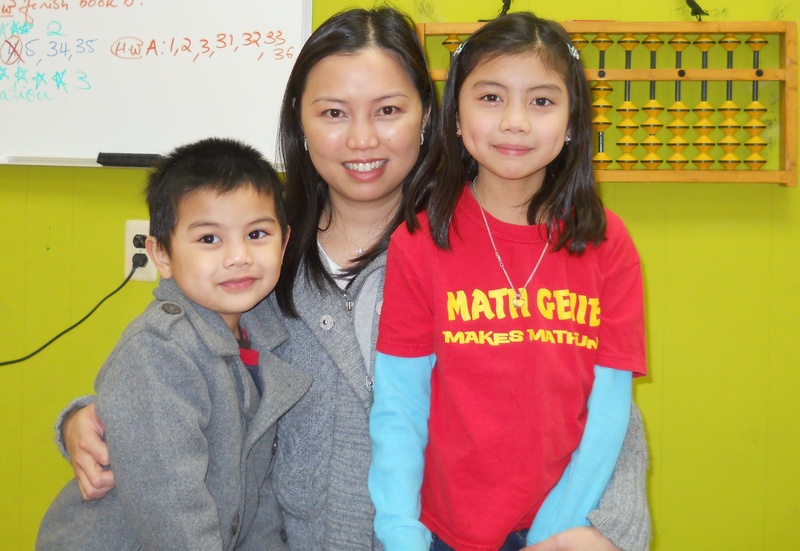 MathGenie's enrichment programs have been helping students achieve academic success for years. 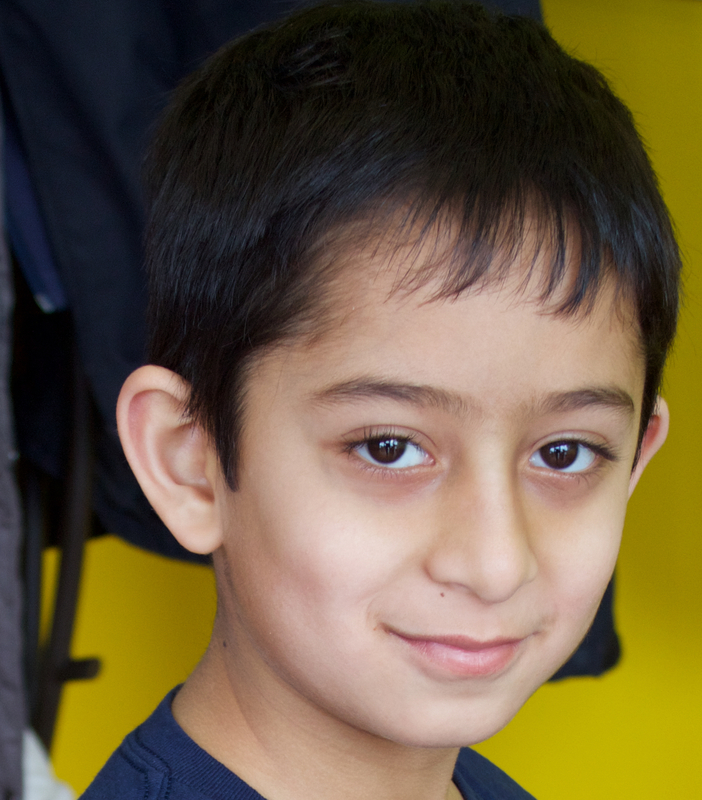 See how MathGenie's Reading and Writing program can transform your child's future today. 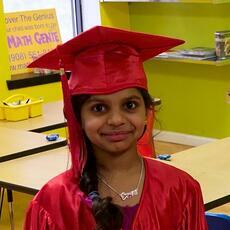 Adwaith from South River received the Presidential Award of Academic Success. His hard word at Math Genie put him ahead of his class. 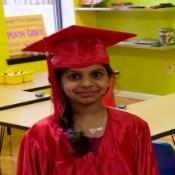 Math Genie has made a huge impact on Adwaith's school and life. 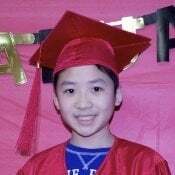 Josh was accepted into the Talented and Gifted (TAG) program for his astonishing academic scores and achievements in Sayreville Schools. 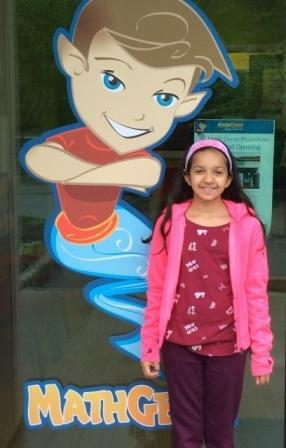 Jasmine has been working on her language arts and reading skills at Math Genie for a few months. After not long, her teachers started to take notice. Daniella is now the outstanding child that every parent dreams of, a child whose skills and intelligence are hard to be modest about.